A selection of comfortably furnished, fully self-contained villas with suberb sea views, outdoor seating area and private parking. 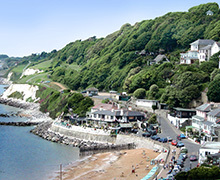 Set in a prime position in Ventnor, overlooking Wheelers Bay are the Ventnor Holiday Villa Apartments. They are modern in style and set in a block of six each with their own balconies to take in the panoramic seaview. The Apartments have their own parking to the front. Overlooking Wheelers Bay, nestled in a southfacing hillside are a selection of comfortably furnished, fully self-contained villas. The villas available are 3 bedroom, 2 bedroom and 1 bedroom in size. You will be pleasantly surprised by how spacious the villas are and by the superb seaview that greets you. Many of our villas are dog friendly - please enquire. “Good News! - Wifi now available in most villas”. 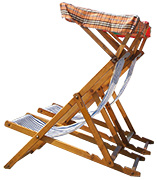 VILLA PRICES range are dependant on time of year and the Villa chosen, offering affordable holiday accommodation. Due to the amount of apartments and villas we have to let, it is likely we are able to meet your needs, so please do get in contact. Contact us now to check availability for your stay, then if you are ready to book simply use our online booking form. 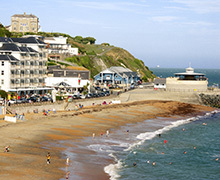 View photos of Ventnor Holiday Villas and the surrounding area. Villas are £99* per night/£440 per week up to 27 April 2019 and from 21 Sept 2019 onwards. Portholes is £105 per night (min 4 nights)/£559 per week (includes electric) up to 27 Apr 2019 and from 21 September 2019 onwards. Our superior villa, (villa 16) Serendipity is a recent renovation (bookings Friday to Friday). Serendipity is £105 per night (min 4 nights)/£700 per week up to 26 April 2019 and from 20 September 2019 onwards (excluding Easter school holidays and October half term, the cost is £750 pw). 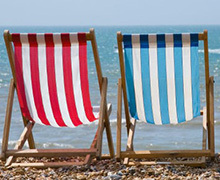 Short breaks may be considered during the year, except school holidays, when it is week bookings only.